1 Preheat the oven to 180°C (160° fan) 350°F gas 4. Grease the holes of a muffin pan or line with paper cases. 2 Put the flour into a bowl and mix with the potatoes, seasonings, grated cheese, baking powder and baking soda. 3 Whisk the egg, add the vegetable oil and buttermilk and mix well. Then stir the dry ingredients into the liquid ingredients, mixing just long enough to moisten the dry ingredients. 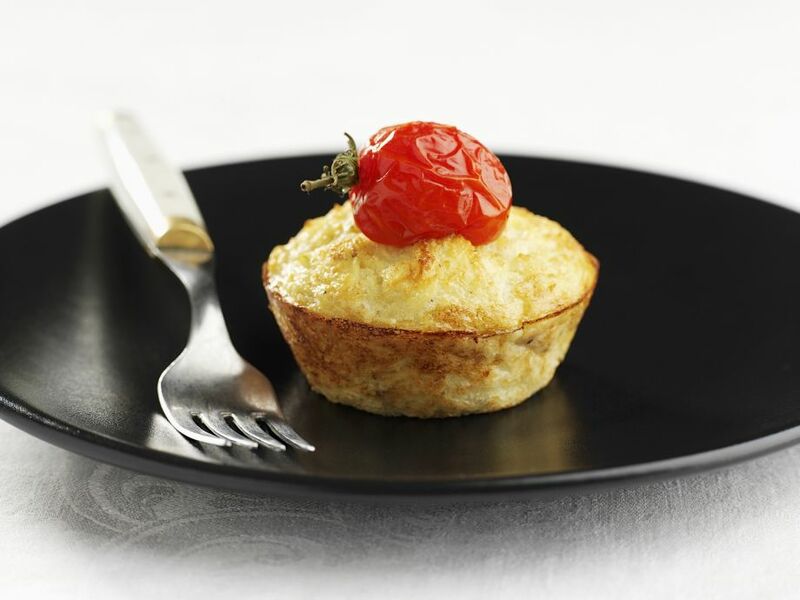 4 Divide the mixture between the holes of the prepared muffin pan and top each with a cherry tomato. Bake for 20-30 minutes. 5 Leave to rest in the pan for 5 minutes, then take out and serve warm.